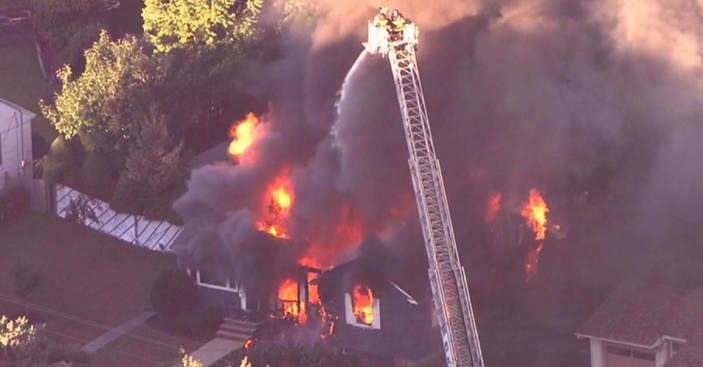 Over Pressurized Gas Line Explosions in Boston - Bryan Hauger Consulting, Inc.
Boston firefighters combat the explosions and fires that erupted recently. On Thursday September 14th, 60-80 fires and explosions were reported. An over pressurized gas pipeline was to blame for the incident. Unfortunately, one death has been reported and thousands have been displaced from their homes. Investigation is still underway and residents have been advised to let authorities handle any gas issues in the nearby area. Some injuries have been reported as smoke inhalation but others suffered severe blast injuries. Columbia Gas is still working on the issue along with local authorities. A preliminary NTSB report has been released which identifies that a cast iron line undergoing replacement did not have its pressure sensor properly relocated as part of the work which then released excessive pressure into the distribution system. On November 1st, a criminal investigation was opened on parent company NiSource. The federal government wants to discover full details about the gas explosions in Merrimack Valley, MA and find out how to move forward. Read more about the Boston Gas Fires here. October 4th 2018 - Columbia Gas Looks to Expand. Many Worries About Safety. October 4th 2018 - State says Lines are Safe. Explosions Raise Eyebrows.